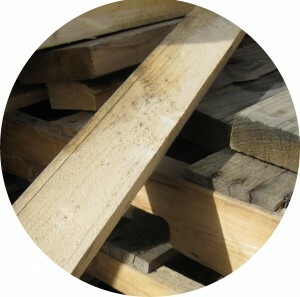 For breathable lumber packaging considerations there are several options Flexpak can provide. Two main considerations for packaging lumber and wood products with greater breathability consist of sewn or heat-sealed lumber covers manufactured at Flexpak: VentEnd Breathable Covers and PerfPro Breathable Covers. VentEnd Breathable Lumber Packaging allow for shipping lumber with a standard cover, but with a modified design which allows for greater breathability in the pallet ends. While the sides and top of the lumber cover maintain the water resistant properties, the ends are designed to allow air movement and release moisture which had been originally packaged with the load. All VentEnd Breathable Lumber Covers can be printed with ​high graphic print. The ends can have different printing options allowing for greater marketing exposure while maintaining the breathable cover capabilities. The ends can be made from the white/black standard woven material or can be manufactured with a clear end panel. See the Clear End Lumber Covers page for an example of this type of lumber cover. Contact Flexpak at any point to discuss breathable lumber packaging or to discuss how Flexpak can help you with moisture related issues.